English & Spanish versions available. This is a newer style of magazine – the business model based on a slightly higher door price than most of the magazines that sell at your local newsagent and not as widely available. 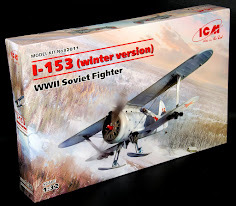 Mostly you can pick this up thru subscription or from model shops or the Pla Editions website. This mag is 9 Euros and it is available in English or Spanish versions. Some may find this expensive and it is all subject to what you are willing to pay. I would rather buy something of good quality you want to read again over something you will look at and then put is a cupboard. It is a shame magazines like this were not in easier circulation as they would soon outstrip the older style of modelling magazine I feel. The focus on content is something that Pla Editions has kept right through this series pretty successfully so far. 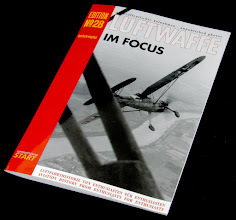 Out of the Seventy six pages in the magazine only eight pages and the back cover are advertisements. 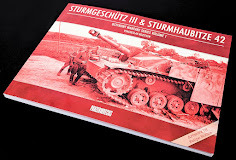 The adverts are placed between the stories which is great, and you just get the sense that from the glossy soft cover thru to the articles that this is the work of some very good modellers. Well that is it for structure – without dilly-dallying let’s look at what’s inside this issue.. 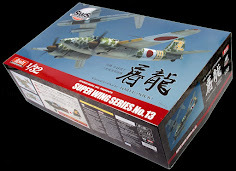 The first section is called the Commander’s Display Unit: It is a section with short news and reviews of model kits and aftermarket items. 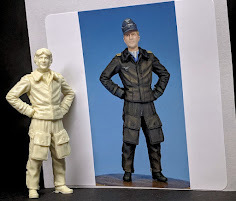 It is not in-depth but shot well to show you what is in these kits and a few pointed fact you would need to know about each. I like it that it is less of a review than a preview section as there simply isn’t enough space to give a decent review of each thing. 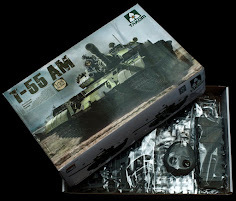 In this month’s “Remote Thermal Sight” section we have a great straight build (no paint or putty– just bare bones) of the new 35th scale Panda BMD-1 kit. This is a very good regular part of the mag that tells you a lot about the model. 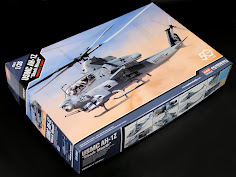 Michel Perez Blasco builds the kit straight out of the box and the reference pictures of the kit in exactly the right way to the camera as the pictures of the real thing help you relate to what is being said in the helpful step by step build sequence. This is the best type of review and I don’t know of any other magazines who do this. 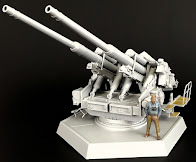 It is great to see modellers from Asia in this magazine – the young modeller called Wu Bayin has built up a very nice Soviet Bm-21 grad in 35th scale in the second section of the magazine. Wu makes this rugged Russian truck and then paints it with AMMO acrylics then rubs the hell out of it showing us a vehicle aged, chipped and scratched up. 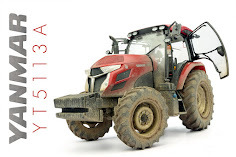 There is also a great tutorial about painting exhausts and tyres realistically. 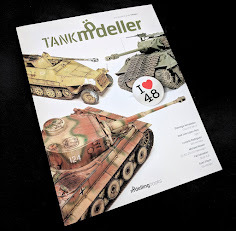 In the first issue we were able to see part one of the well-known build of the Italeri M109A6 Paladin by the every talented modeller Volker Bembennek. 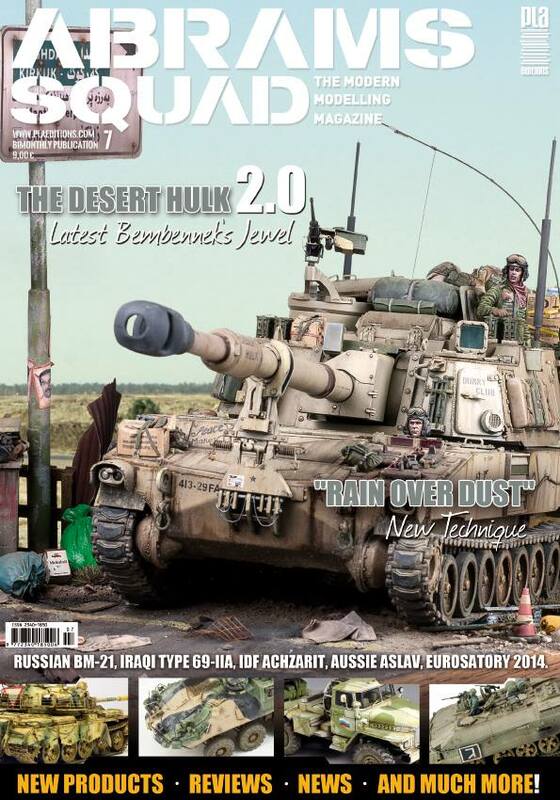 In this birthday issue Volker returns to show us how he created the scene around this “Desert Hulk” so realistically. 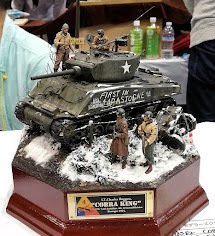 From the cratered road to the dirt beside it and the rubbish strewn from the bins on the side of the road to the road signs above the tank this diorama really makes the kit come to life. 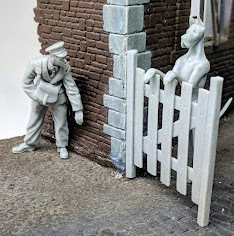 There is also an excellent section on the adjusting and painting of the figures which are the human element so important in a diorama helping you judge scale and adding an extra layer of detail to the scene. which by itself without paint is a great achievement. Lukasz used a lot of aftermarket and modelling detail to make this tank look like a beaten and battered veteran. The paint job really reflects a tough life in the desert. AK Interactive’s products used with Vallejo and MIG pigments for dust, tracks and exhausts really age this tank well. The use of additional aftermarket and crafted extras like these really make this tank into something special you keep looking at for more detail. Now I am a little taken back by the plainness of the Israeli turret less tank – but this Achzarit made by Chris Jerrett again makes me think I am missing something. Chris does the very subtlest of scratching and wreathing combined with some light dusting to create a realistic more than stylized build of this APC. I’m still not sold on the vehicle but I liked the build! 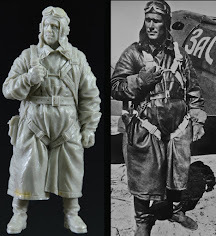 The editor Mr. Pere Pla’s 35th scale Aussie ASLAV features not only an interesting build from the plastic up and a great paint job but a new technique Pere has coined a new technique called “Rain over Dust”. Again the ASLAV isn’t a vehicle I would usually look at with any interest. 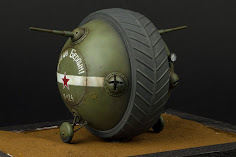 With te depth of the stowage, the lovely DEF wheels that were added and this freshly light showered look on a dusty vehicle the elements come together to make a very nice model you will want to know how to replicate. 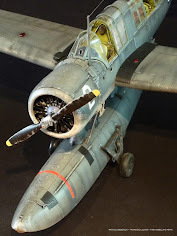 The most swooned over modeller Julie Ludman is well known for her great pictures of Military vehicles from all over the place and I’m sure the fans of hers will equally appreciate her report from the Eurosatory 2014 show. 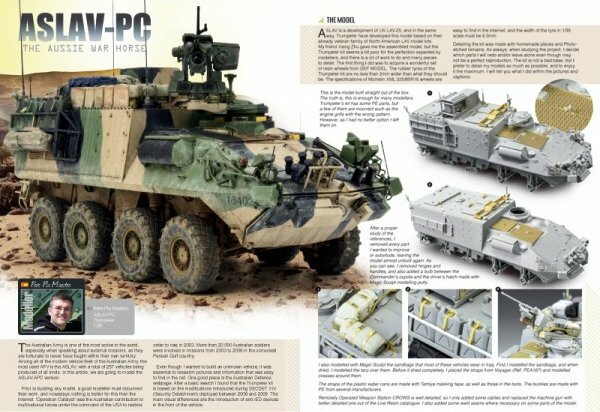 This defence technology show was actually in June at Paris and there are six pages of the cleanest AFV’s you could ever find (all new) at this show where companies come to give us future subject to model. Usually this section is of older or “in country” AFV’s and vehicles and I suppose this does give some variety. I wonder how interested we would be in modelling if all AFV’s stayed this clean? Turret Basket: is a section of things that are on the horizon and it is a good taster of what is to come in this modern armour genre. Most of it will soon be revealed in issues to come I would think. …Well a year on I can remember issue 1 and the promise I brought. Not without taking risks on layout and content this series has evolved slightly too now become one of the best magazines on modelling around. I like the variety of topics covered, the different products used (not just championing one brand) and the layout and SBS builds inside this magazine. 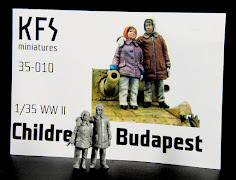 No space is wasted and the parts that weren’t as useful to the modeller have been trimmed. Great work Abrams Squad – Happy birthday you deserve all the presents you get!